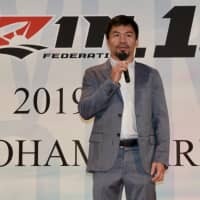 YOKOSUKA, KANAGAWA PREF. 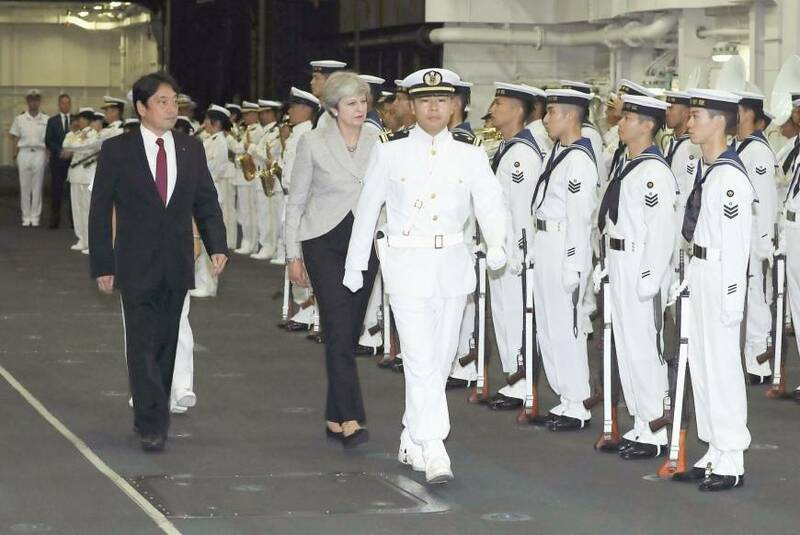 - British Prime Minister Theresa May on Thursday visited a key Maritime Self-Defense Force base southwest of Tokyo to inspect a helicopter carrier. 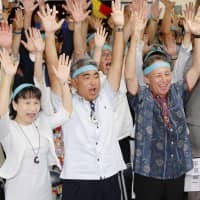 Flanked by Defense Minister Itsunori Onodera, May, who is on a three-day visit to Japan through Friday, went aboard the Izumo, the largest MSDF vessel, at Yokosuka base in Kanagawa Prefecture. 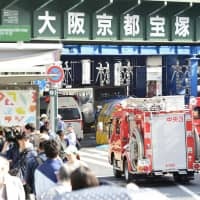 In response, Onodera said the MSDF has learned about operation and training from the British Navy. 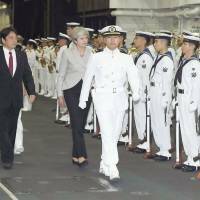 May is making her first visit to Japan since taking office in July last year, to hold talks with Prime Minister Shinzo Abe on bilateral defense cooperation, including how to address North Korean threats, according to Japanese officials.